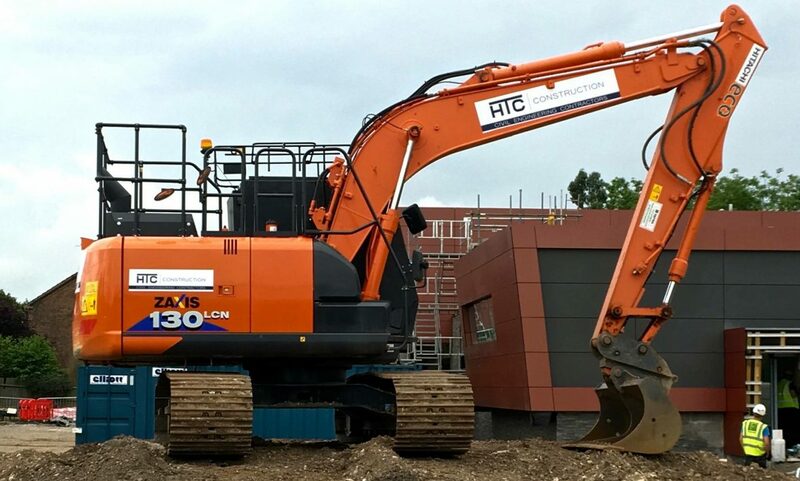 HTC Construction Limited are committed to ensuring that your privacy is protected. Should we ask you to provide certain information by which you can be identified when using this website, then you can be assured that it will only be used in accordance with this privacy statement. HTC Construction Limited may change this policy as necessary by updating this page. You should check this page periodically to ensure that you are happy with any changes. This policy is effective from 25th May 2018.
contact information including name, address, UTR number, telephone number and email address. Non identifiable information may be collected about your visit to our website and your browsing activities. This helps us develop, manage and improve our website for your individual needs. We use a third party service to collect standard login information such as the IP address, Visitor Interactions, Location Information and cookies. The information you choose to provide us will be used only for the intended person stated at the time of collection and subject to requirements indicated by you. The only other companies which we share our data with are our website / email providers and WiFi solution providers which allows us to communicate with our customers. We will never sell or trade our customer data or use it for any other purposes then outlined in this policy. If you would like any further information, please get in touch with us. Cookies are small text files holding pieces of data, that are stored on your computer or other device when websites are loaded in a browser. They are widely used to “remember” you and your preferences Once you agree, the file is added and the cookie helps analyse web traffic or lets you know when you visit a particular site. We use traffic log cookies to identify which pages visitors are interested in. This helps us analyse data about web page traffic to improve our website. We only use this information for statistical analysis purposes and then the data is removed from the system. Our website may contain links to other websites of interest, however we do not share your data with any such links. However, once you have used these links to leave our site, you should note that we do not have any control over that other website. Therefore, we cannot be responsible for the protection and privacy of any information which you provide whilst visiting such sites and such sites are not governed by this privacy statement. You are entitled to view, amend, or delete any personal information that we hold. Email your request to hello@htcconstruction.co.uk You may request details of personal information which we hold about you under the EU General Data Protection Regulation (GDPR) 2018 2016/679). A small fee will be payable. If you would like a copy of the information held on you please contact us. While no online service is 100% secure, HTC Construction Limited will take appropriate technical and security measures to protect personal information about you against unauthorised access, use, alteration, or destruction.